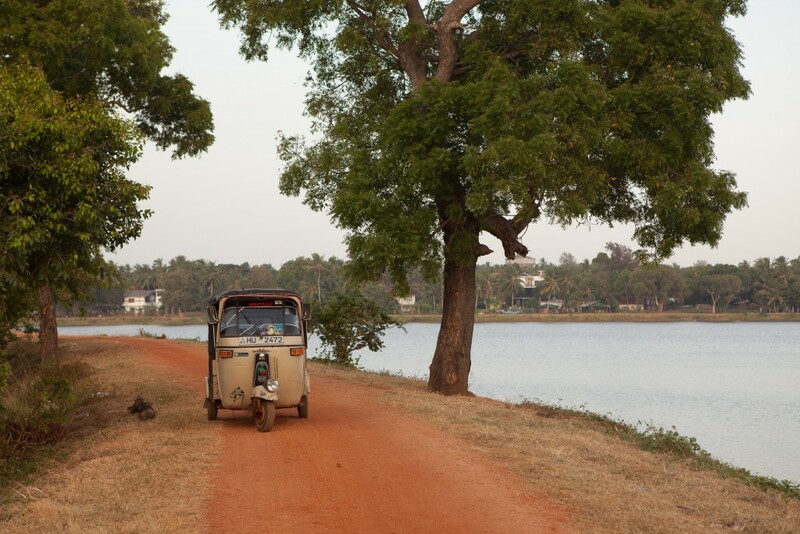 By the time we arrived in Puttalam the sun had set and the residents were crowding the markets on the beach and enjoying the cool air. 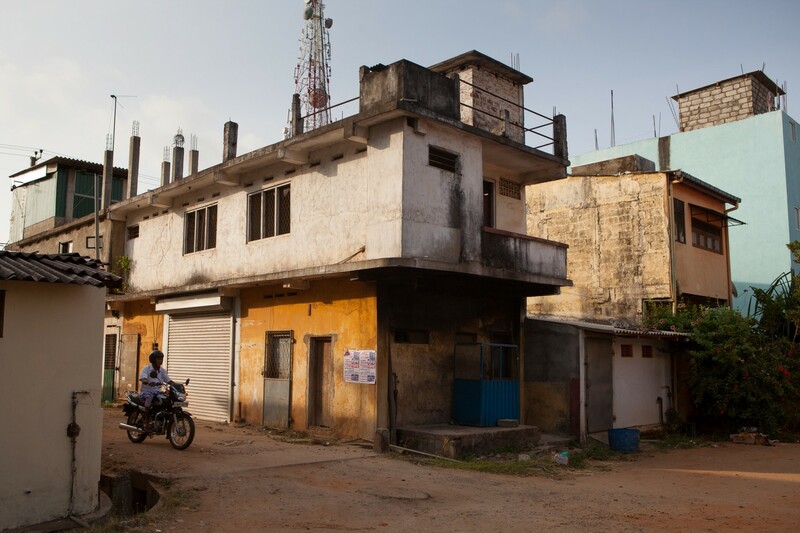 We scouted around until we found a Rest House nearby- it consisted of several long single story creme-coloured buildings on a big block. In the foyer a sound system played a Sri Lankan cover of Mambo No. 5 to an empty dining area. The night manager welcomed us in and led us down a long veranda past several empty rooms. He explained that the building used to be a hospital built by the Dutch colonial authorities. He hunted for the right word in english before telling us “it is archaeological”. 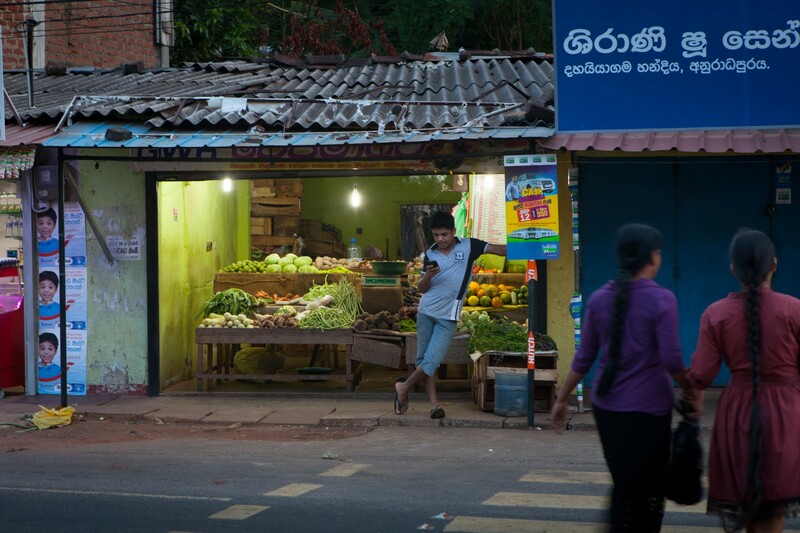 Outside the major cities Sri Lanka is a ground-floor country with second-floor ambitions. 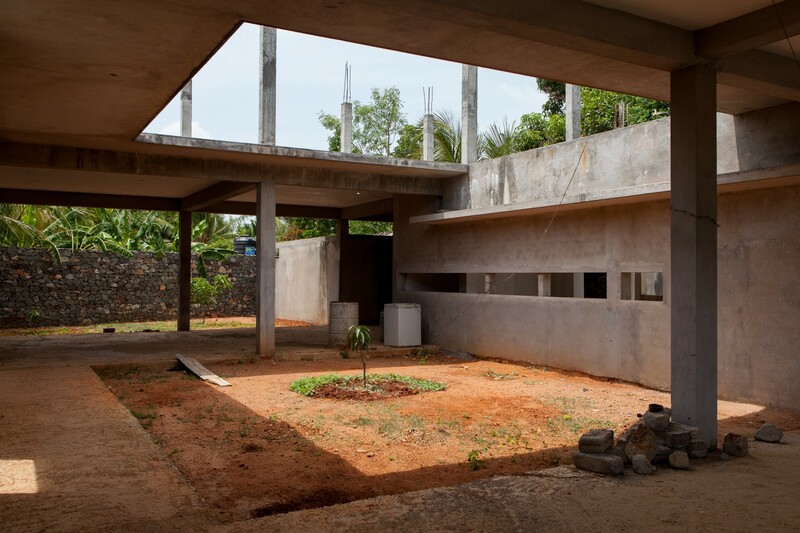 Most homes in places like Puttalam seem to be built with stairs leading to an absent second floor. Only little spikes of re-bar suggest the plan. If a second floor is added the roof is again left bristling with re-bar in expectation of a third floor once the necessary funds become available. 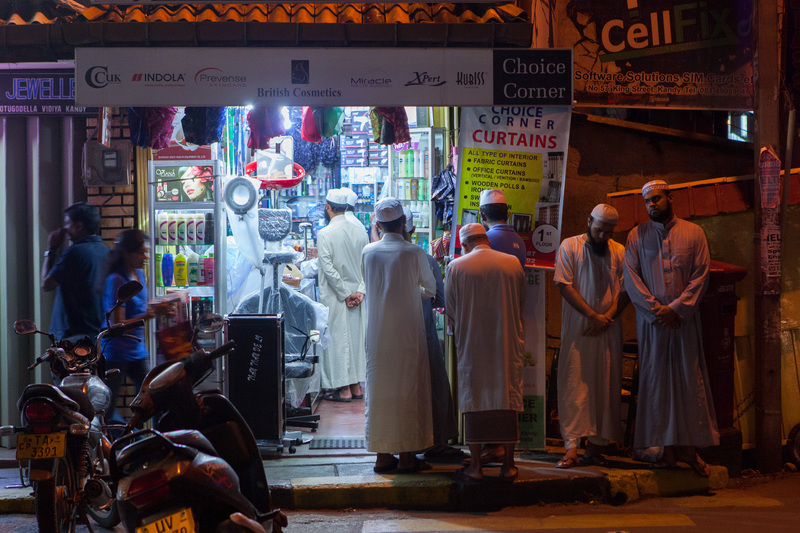 * This appetite to build up means the smaller towns are liable to give travellers a sense of deja vu- revealing the same sorts of businesses everywhere you go; hardware stores, motor mechanics, farming supply stores and phone shops. The billboards follow a similar pattern- advertising competing brands of re-bar, cement and all-weather paint. 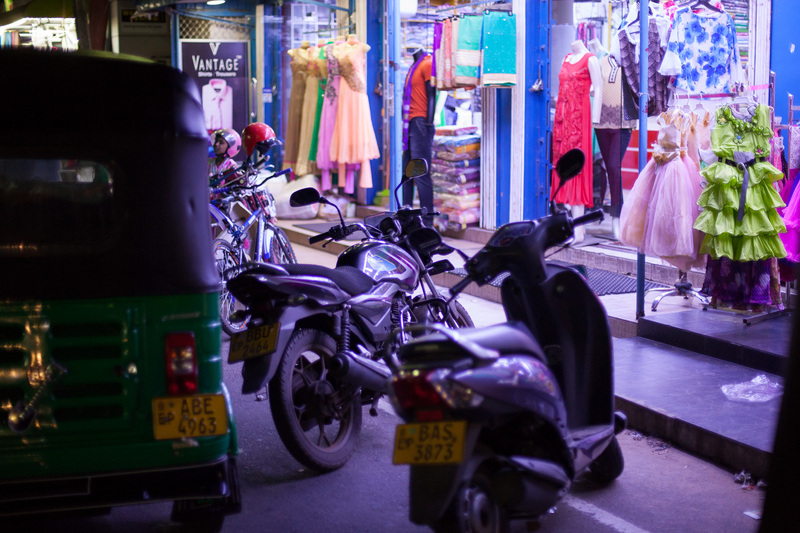 But it’s on the second floor of the suburbs, above the immediate and the practical necessities, that you can see Sri-Lanka’s future taking root. 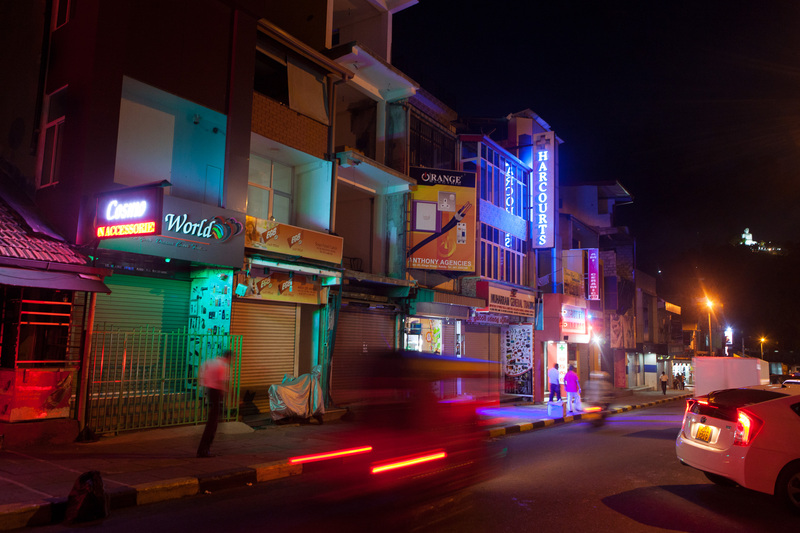 In one block in Anuradhapura there was a language school above a machine shop, a nursing college above a store that sells alloy wheels and a physics tutor above a plumbing supplier. Everywhere you looked small you saw small enterprises like these getting off the ground. 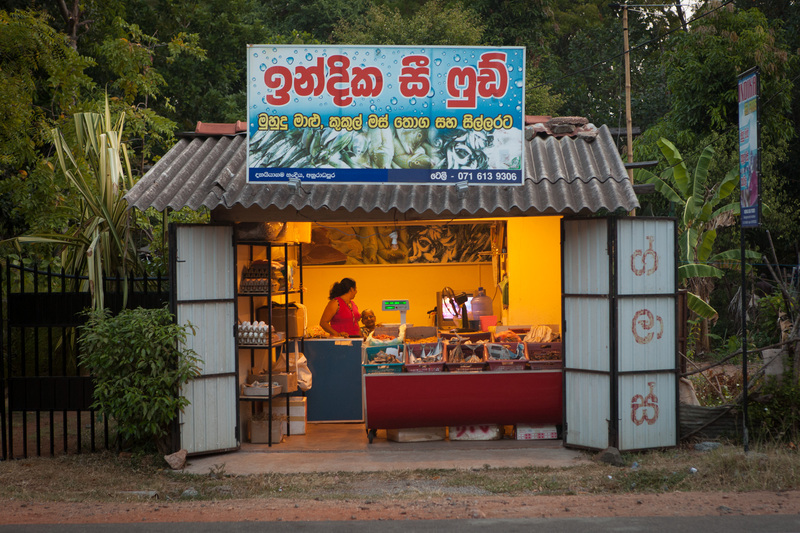 In Anuradhapura we stayed in a bathroom-like room above a tourist office. Finding it a bit too austere, we loaded up our gear and threaded our way through a maze of streets to a place called the Charm-Inn. I justified my choice of accommodation by saying that it was close to the lake when in reality I just wanted to reward commitment to puns. The Charm-Inn turned out to be a tidy little walled house on a quiet street guarded by an old dog. 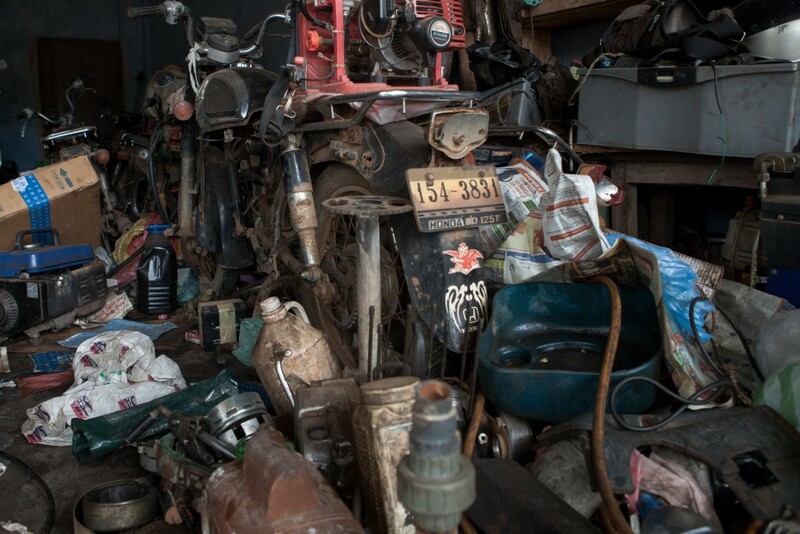 The owner was a gentle, middle-aged man named Shelton who proved to be a very easy-going host. He answered all our questions with a slow wobble of the head and followed up with the occasional low-key joke. In the evening he put down a citronella coil beside the dog. 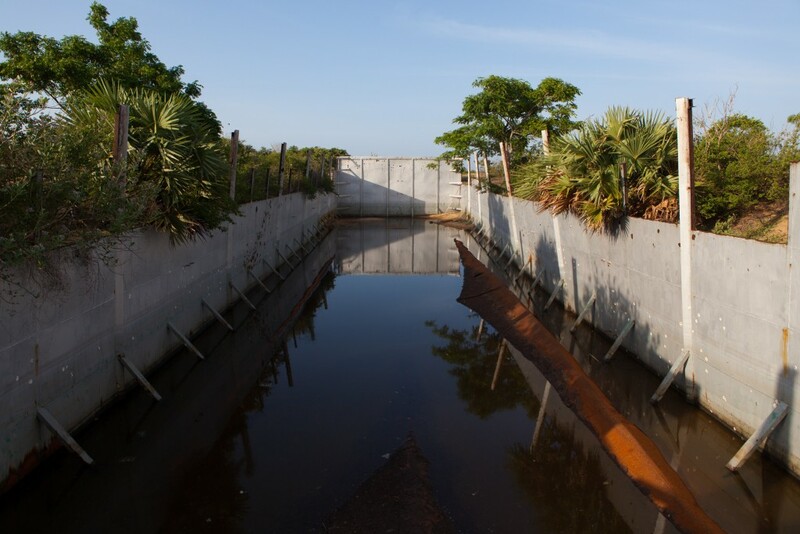 In Mullaitivu we stayed in the enticingly named ‘Ministry of Public Administration Resort’ built by the Government as part of the reconstruction efforts following the 2004 Tsunami and the closing battles of the Sri Lankan civil war. The shrubs planted to green the place up had barely taken root and the young men working the front desk looked terminally bored. We were the only guests at the resort and the only other people at the beach were fisherman sorting their catch. 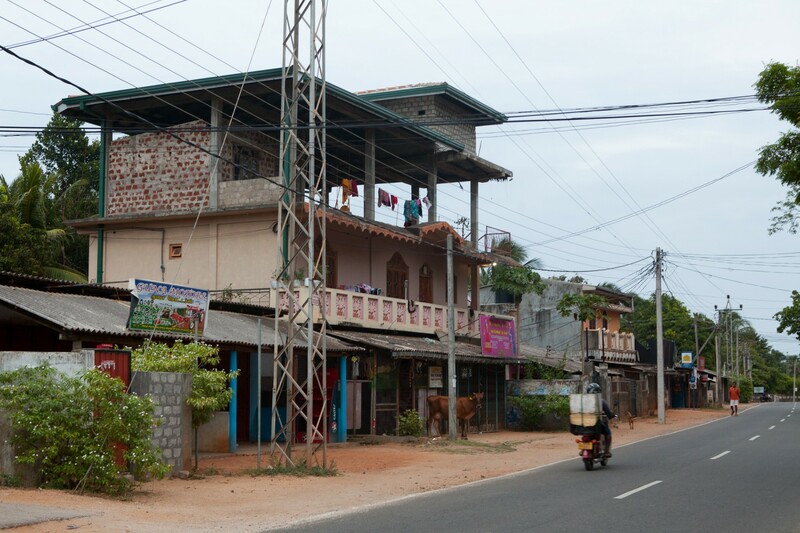 Riding through outskirts of Mullaitivu revealed just as many empty lots as homes. Occasionally we would pass ruined cottages; some were caved in and overgrown, others had walls that were still standing but scarred by the spiderweb pattern of cracks where something large caliber had punched through. In Trincomalee we stayed in a family-run guest house called the White House Holiday In(sic). The manager, Giritharan, was a Tamil in his forties with a thick moustache and an easy smile. He was a stocky guy and he led us through to our accommodation with a slight limp while his sons did most of the heavy lifting. The two boys, both primary school aged, fussed over the guests and did their best impression of hotel staff. They offered directions to restaurants, they fetched drinks and chairs and turned out rooms. They will probably never remember a time when they were not working. Returning to the the guest house on our second night after our run-ins with traffic police in Trinco, Giritharan told me that he used to be a criminal investigator in Batticaloa- a city to the south that became an enclave of the LTTE for several years during the civil war. “I am retired now” he told me. Deciding that more explanation was required he rolled up his trouser legs to show the prosthetic on the left and the scars on the right where the bullets had passed through his calf muscle. “Terrorists” he explained. In Sigirya we stayed in beautiful wooden bungalows on a dusty road just south of the rock fortress that graces the cover of every guidebook and brochure on the country. We ate dinner at a restaurant nearby run by the wife of a Rastafarian tuk-tuk driver. Tuk-tuks in Sri Lanka seem to come off the production line with standard-issue Caribbean-themed decals. Most have stencils of Bob Marley, Johnny Depp as a pirate or Che Guevara. 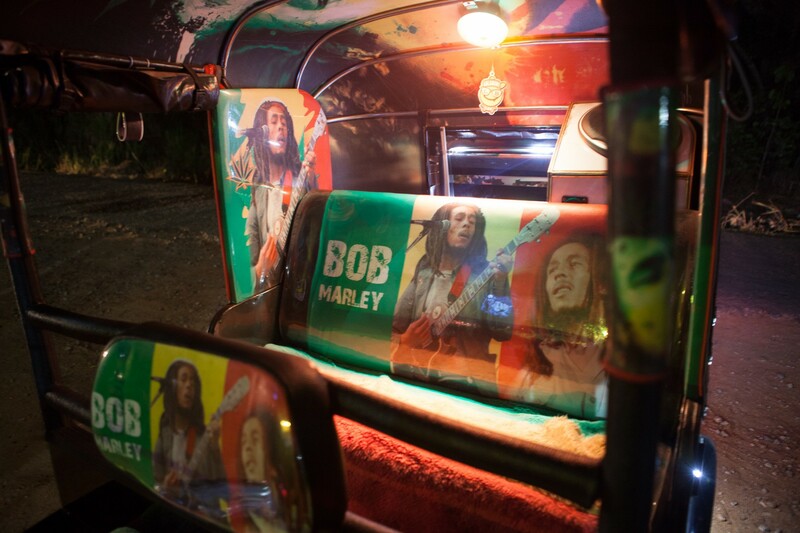 Our man in Sigirya went above and beyond though; he wore his dreads up in a crocheted beanie and had decorated his Tuk-tuk with wall-to-wall Bob Marley- his face printed on upholstery and the bodywork while a set of neons lit up the dusty road with the colours of the Jamaican flag. He’d sacrificed precious space in the carriage to install a sound system that would do justice to Marley’s tunes. In Kandy we stayed in a modern, well-appointed, three story bed-and-breakfast overlooking the lake. The tranquility was only broken by the occasional gang of rampaging monkeys. The friendly woman that ran the place sent them intro retreat with a few well-placed shots from an air-rifle. The next morning Matt went for an early morning run along the lake and came across a monitor lizard finishing off a cormorant. The key survival traits for wildlife in the cities of Asia would seem to be fearlessness, a healthy fear of traffic and a willingness to eat just about anything. Travellers too for that matter.